Lorenzo Rodríguez is the General Secretary of the Independent Democratic Farm Labourers’ Union in Mexico (Sindicato Independiente Nacional Democrático de Jornaleros Agrícolas). He’s also one of several workers’ leaders from around the world who has put his name to a petition against political repression in Hong Kong. The petition ‘Global Solidarity – Stop Repression in Hong Kong’ has been signed by the six members of the Solidarity-People Before Profit group in the Irish Parliament (Dáil), along with political activists in dozens of countries from Indonesia to the US. These include elected councillors, dissidents, and relatives of political prisoners. The petition offers its “full solidarity with the struggle for democratic rights in Hong Kong, China, and globally”. It also criticises “[t]he increasing use of Hong Kong’s law courts as a tool of political repression”. 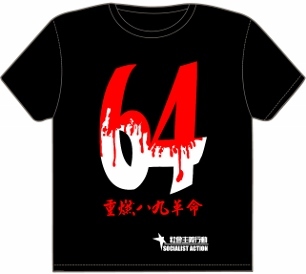 The petition is part of a new campaign to be officially launched on Thursday 12 October, exactly one year since Hong Kong’s government – which is not elected by the people – began its purge of the Legislative Council (Legco) ousting six opposition lawmakers. Sally Tang Mei-ching is one of the coordinators of the campaign. 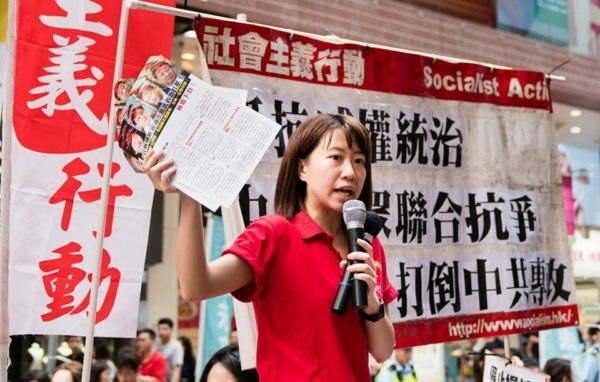 Sally, who is chairperson of Socialist Action (CWI) in Hong Kong, explained the background. “When they disqualified the legislators after the 2016 election it was the start of an unprecedented series of attacks on Hong Kong’s democracy movement. This year we’ve seen a trend with more and more political trials, very harsh jail sentences for protesters and many attacks on freedom of speech,” she said. Sally Tang Mei-ching campaigning in Hong Kong. “We’ve also seen huge protests against the repression in Hong Kong such as on 20 August, just days after 16 young activists were jailed for up to 13 months. Over 100,000 came out on that demonstration which shook the government. 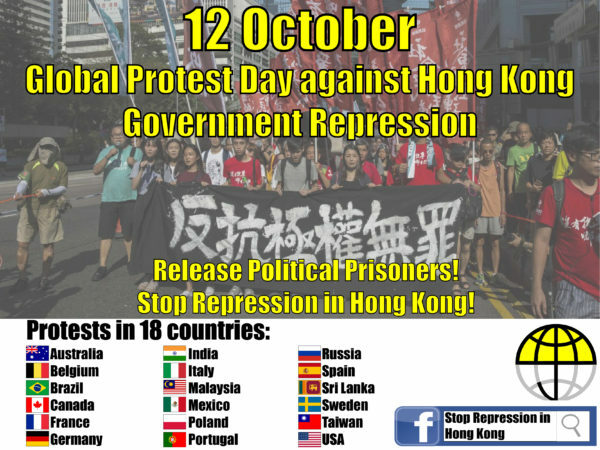 “Only mass resistance can stop the repression but the Hong Kong struggle also needs support internationally. This can also help the struggle for democratic rights to get a different perspective rather than only looking within Hong Kong. It is more and more necessary to globalise struggle in order to win – especially when we’re up against the world’s biggest dictatorship,” she said. Sixteen young activists are behind bars, becoming Hong Kong’s first political prisoners. This followed a government initiated court action in August to re-open sentencing after the sixteen had already served non-custodial sentences handed down in the lower courts in 2016. On Friday 13 October a new trial gets underway for 20 activists charged with defying a court order to clear the Mong Kok occupation site – one of three city areas occupied during the 79-day-long Umbrella Revolution in 2014. It is feared that at least some among the 20 defendants, who include members of pro-democracy political parties the League of Social Democrats (LSD) and Demosisto, could also face imprisonment. The pro-Beijing establishment in Hong Kong aims to criminalise protests and silence the democracy movement. This is the brief that the Hong Kong government has been given by its masters in the central government. “The Stop Repression in Hong Kong campaign also links solidarity with Hong Kong’s democracy struggle to what is happening in China,” said Sally Tang Mei-ching. “The idea that Hong Kong can win real democracy without systemic change in China has been shown to be impossible. As long as the one-party dictatorship rules it means Hong Kong is being transformed from a ‘partial democracy’ into an authoritarian state. “The crackdown is because the Chinese regime fears Hong Kong’s democracy protests could spread to the mainland. So in a way they are showing us what needs to be done in order to fight the repression in Hong Kong,” she said. 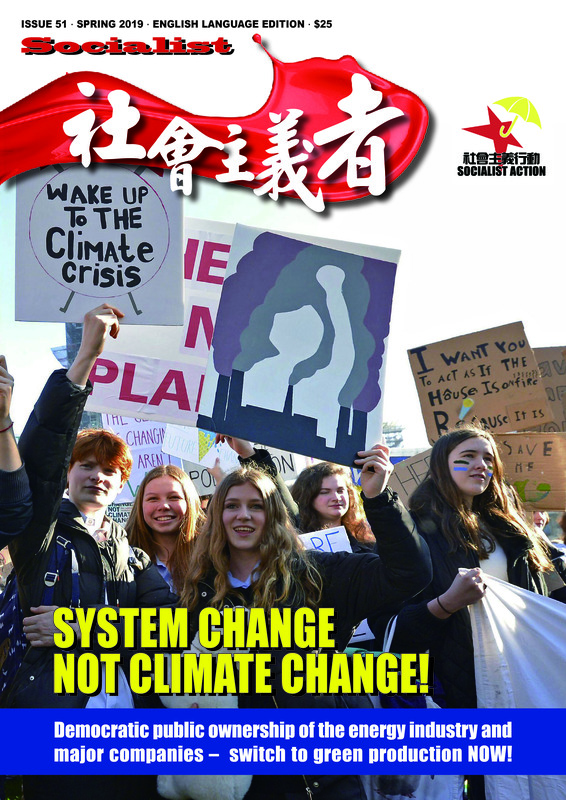 Protesters representing left organisations, labour unions and social movements will stage protests at Chinese embassies and Hong Kong Economic and Trade Offices which directly represent the Hong Kong government in such cities as London and Brussels.